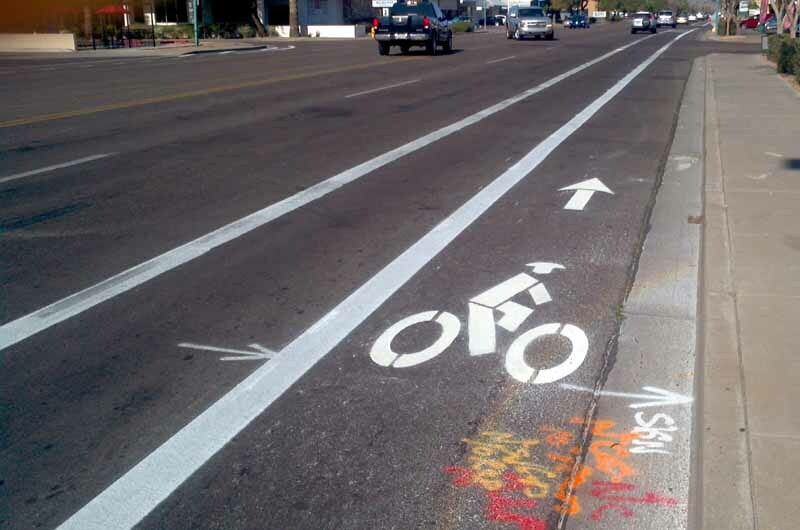 Over the weekend, the City of Phoenix successfully completed the addition of bike lanes along Central Avenue from Camelback Road to Bethany Home Road as part of a “Road Diet”. Sunday afternoon, January 8th, there were many bicyclists already enjoying the addition. 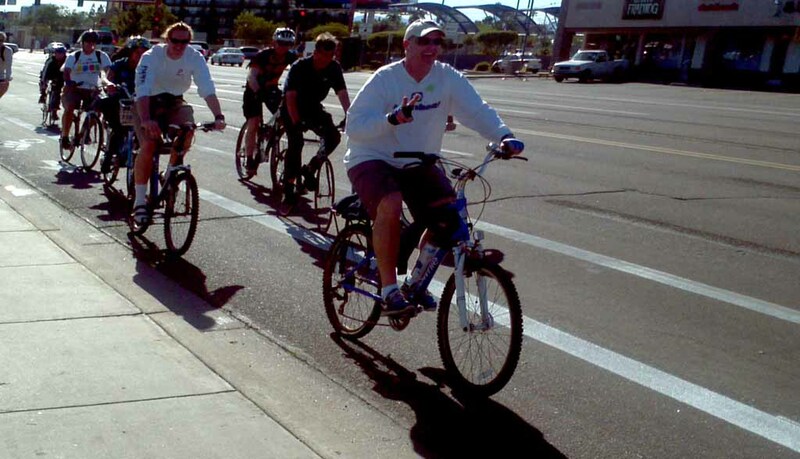 The Coalition commends and appreciates the efforts of the city of Phoenix and all authorities that continue to work to make forward progress in providing better, safer routes for bicyclists all over Arizona. The roadway formerly had 3 lanes in each direction, and no specific bicyclist facility; after the “diet” there are 2 lanes in each direction plus a buffer-separated bike lane. There is detailed information from city staff linked at azbikelaw.org including specific engineering data, traffic counts, etc.